Upgraded brake component kit for 1979-87 Stock Spindle or CPP 2" Drop Spindle. Also for 1955-57 Chevy full size with CPP 2" Drop Spindle and Bracket Kit. 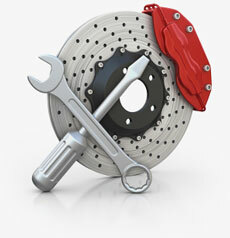 Kit includes Calipers, pads, drilled and slotted rotors, bearings, banjo bolts, seals, spindle nut kits, and hoses.